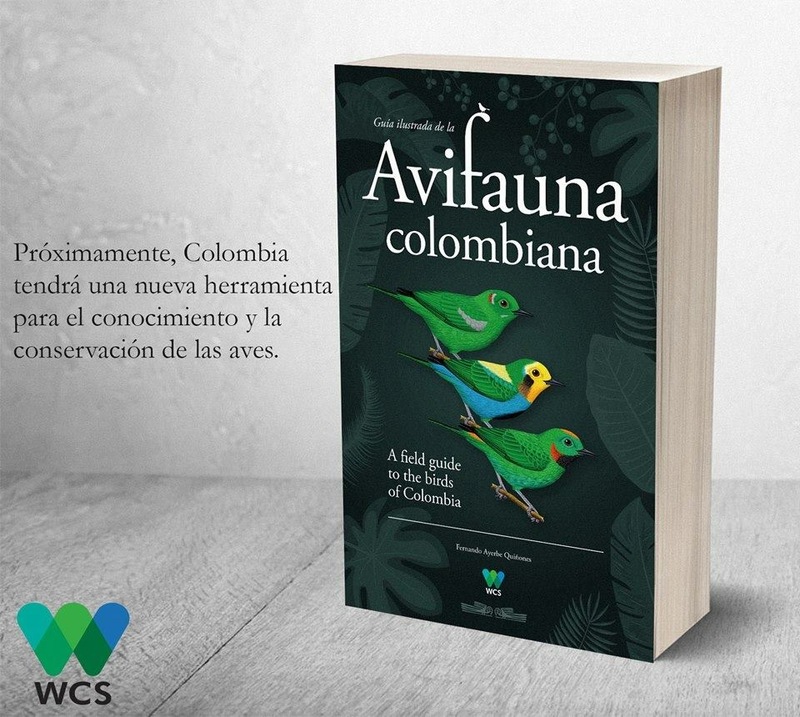 The Sociedad Antioqueña de Ornitologia (SAO, the Medellin ornithological society) announced September 19 that the fifth annual “Festival de las Aves de Medellin” will take flight October 3 to October 8. All local Festival programs -- including lectures by national and international experts, special learning workshops and guided, local bird walks -- are free. But the post-festival birding trips to Manantiales or Napoles, Antioquia -- which require special advance registrations -- carry separate charges. Complete Festival program details -- including instructions on how to sign-up for the workshops and the local bird walks -- are available here: https://www.festivaldelasavesmedellin.com. Registrations for the post-festival birding trips (Manantiales or Napoles)-- departing October 6 and returning October 8 -- can be made here: https://www.festivaldelasavesmedellin.com/pajareadaspostfestival. However, as of this writing, the Napoles birding trip was already fully booked. The option for joining the (still-available at this writing) Manantiales birding trip is nothing short of spectacular (see: http://www.medellinherald.com/ecot/item/239-paradise-restored-manantiales-nature-reserve-symbolizes-colombia’s-hopeful-future, titled "Paradise Restored: Manantiales Nature Reserve Symbolizes Colombia’s Hopeful Future," Medellin Herald, January 04, 2016). According to the SAO, the annual Medellin Bird Festivals “seek to position Medellin as the 'Bird Capital of the World,' as recognized nationally and internationally, and also so that local citizens learn to appreciate their natural heritage. 8 am-12 noon Wednesday, October 3: Workshop for children on how to use the “Merlin” bird-identification cell-phone application, at EAFIT university in Medellin (Las Vegas campus). 2 pm Wednesday, October 3: Workshop on how to prevent collisions of birds against buildings and other structures, at Corantioquia headwaters in Medellin. 2-3 pm Wednesday, October 3: Workshop for adults on how to use the “Merlin” bird-identification cell-phone application, EAFIT university (Las Vegas). 3-4 pm Wednesday, October 4: Official debut of new illustrated book, “Birds of Ituango,” by EPM and University of Antioquia, and a bird-photography exhibition, both at EAFIT university (Las Vegas). 5:30 am to 11 am Thursday, October 5: Choice of bird walks either to Parque Arvi, Parque Presidenta, or San Sebastian de la Castellana. 2 pm Thursday, October 5: Lecture on Medellin’s new “green corridors” (Planetarium auditorium, next to Parque Explora). 2:50 pm Thursday, October 5: Lecture featuring professors and children from Restrepo, Meta department, on their novel “Alas de Saber” ornithology-teaching curriculum for children, at Planetarium. 3:45 pm Thursday, October 5: Expert lecture on ow to prevent bird collisions with power lines in Colombia, at Planetarium. 6 pm Thursday, October 5: “Science on Bicycles” event featuring hummingbird observations. Departs from Planetarium. 5:30 a.m.-11 am Friday, October 6: Optional bird-walks to Parque Arvi, Parque Presidenta, San Sebastian de la Castellana, EAFIT Llanogrande or EAFIT Medellin (Las Vegas campus). 2 pm Friday, October 6: Lecture on the birds of the Alto de San Miguel nature reserve (Caldas, Antioquia), EAFIT university (Las Vegas campus). 4 pm Friday, October 6: Lecture on the “Merlin” birding application by Cornell Laboratory of Ornithology (USA) bird expert Drew Weber, EAFIT university (Las Vegas campus). 6 pm Friday, Octrober 6: Lecture on urban birds by Cornell Laboratory of Ornithology bird expert Karen Purcell, EAFIT university (Las Vegas campus).